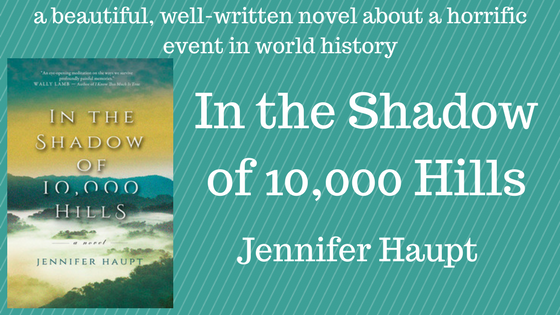 In the Shadow of 10,000 Hills is a beautiful, well-written novel about a horrific event in world history - the genocide in Rwanda in the 1990s. It's about love and creating our families not just from blood but from the people who mean the most to us. The book follows the intertwining stories of three women. Lillian left the US after the assassination of Dr. Martin Luther King and went to Rwanda hoping to help children in Rwanda. She runs a small orphanage taking care of children both physically and mentally. Nadine, one of the children raised by Lillian is now a college student but has terrible memories of a massacre in her village. Rachel, an American girl who is searching for the father who abandoned her as a child to follow Lillian and become a photo-journalist in Rwanda. These three women share a deep bond of loss and love and hopefully forgiveness set against a backdrop of the beauty of Africa. 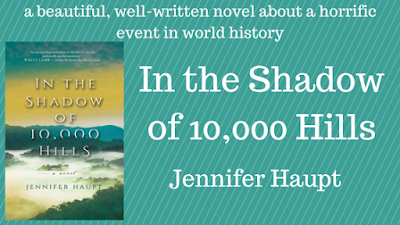 The author described Rwanda in such depth - both the beauty and the savagery of the genocide - that the county became a major character in the book. I am normally a very fast reader but read this book slowly because the writing is so beautiful and the descriptions of the country are so lovely. It honestly is one of the best books that I've read in a long time. The author dedicates her book "To all of those searching for amarhoro." The word amarhoro translates to 'peace' but in Rwanda it conveys sorrow for the past and hope for the future. Amarhoro is something that we all need in our lives. 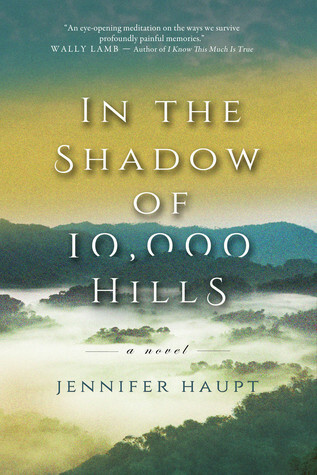 Jennifer Haupt went to Rwanda as a journalist in 2006, a decade after the genocide that wiped out over a million people, to explore the connections between forgiveness and grief. She spent a month traveling in the 10,000 hills, interviewing genocide survivors and humanitarian aid workers, and came home to Seattle with something unexpected: the bones of a novel.